Home > Blog > Are keyless entry systems safer than traditional key locks? Are keyless entry systems safer than traditional key locks? It's 2018 and you cannot escape the keyless entry and keyless ignition systems that prevail on newer generation vehicles. The trend of allowing keyless entry became popular two decades ago; these systems take away the begrudging operation of putting a key into a keyhole and turning it, to either open your door or start your car. It's convenience at the push of a button. These methods of electronic access now come standard in most, if not all, consumer vehicles manufactured today. 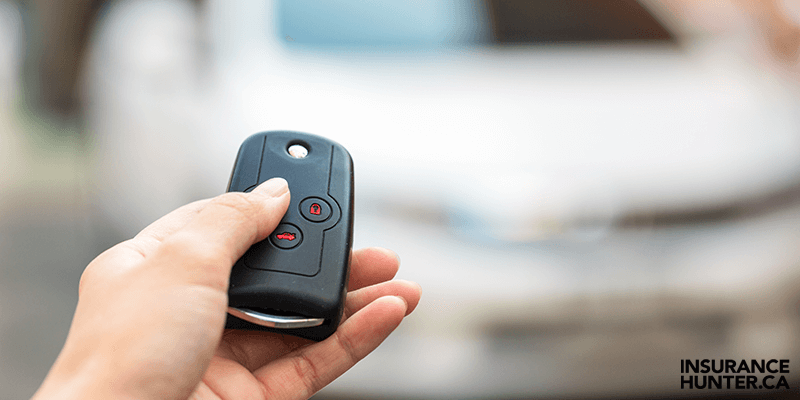 Most of the smart keys do have a traditional metal key that can pop out of the fob if the keyless feature malfunctions, but some of them are just bare electronic devices. Fun fact: the first smart key was introduced on the 1998 Mercedes-Benz W220 S-Class. How robust is the technology connected to the keyless entry fob? Could this smart key be hacked to the point where your vehicle becomes vulnerable and easily stolen? Some say the encryption on smart keys, old and new, are not sophisticated and that the electronic components are not up speed with today's technology, which leaves gaps for hackers to prey on. To answer the question: Yes, smart keys can be –and have been– hacked. Reports of hackers “manipulating the radio signal from the [smart] key to the car to be able to magnify the signal from up to 100 metres away” are present in both traditional and online media outlets. The thefts are done through a device that essentially presses the 'unlock' or 'start engine' button on your smart key, without anyone having to press it. It would only cost about $100 to obtain the hacking tool used to relay the radio signals. Once the amplifier is placed near a victim’s keys, and the receiver is placed near the car, the car can be opened. This would obviously require two perpetrators and some logistical cohesion, but it can be done. There are several videos you can easily find on the internet that show one thief placing the amplifier device on the exterior of a home that 'picks up' the smart key's radio signal. It then relays that signal to another device placed near the door to the vehicle (a Mercedes in this case), allowing the car to be stolen in under one minute. How's that for convenience? The National Insurance Crime Bureau has, however, credited smart key systems for reducing car theft by 7% since 2009. This would lead you to think that it is easier to steal a car with a traditional key than it is with a smart one. The idea that keyless ignitions are vulnerable to hacking is not so farfetched given the technological climate of late. On top of the electronic hacking capability, there are some physical safety concerns to consider as well. For example, drivers may unknowingly shut off their engine with the push of a button, but forget to put their car in ‘park.’ The vehicle could then roll away and cause an accident on its own. Differently, drivers may remember to put their car in ‘park’ but forget to shut their engine off without the physical reminder of a key turn. An engine running in an enclosed environment (a garage perhaps) can increase the risk of carbon monoxide poisoning. In fact, keyless ignition systems have been linked to “at least 13 carbon monoxide deaths… enough to prompt the National Highway Traffic Safety Administration to post a public notice in the National Register reporting that the technology poses a ‘clear safety problem,” according to Scripps News. Or, the battery could simply go dead or malfunction on the smart key, leaving the driver in a pickle: unable to get into their vehicle, much less power it on. Some glitches in the keyless system will even keep a car running once the driver has walked away from the vehicle, you may press the button without realizing it a few metres away. Imagine your car running for 8 hours in your driveway? Always check if your ignition is off and if your car is in park before you exit, lock, and walk away from your vehicle. You can also equip your car with safeguards by installing tracking devices or steering wheel locks, such safety devices can make you eligible for insurance discounts. If your car were to get stolen, you could track it and/or lock it once the hacked radio signal fades out. Lastly, the UK news outlet Express made a list of the ‘most hackable cars’ which includes at least 56 different modern vehicles. The makes range from Ford, Suzuki and Toyota, to Lexus, Volkswagen and Tesla. Ask your insurance provider if your vehicle is on a hackable list, and what steps can be made to prevent such a loss.